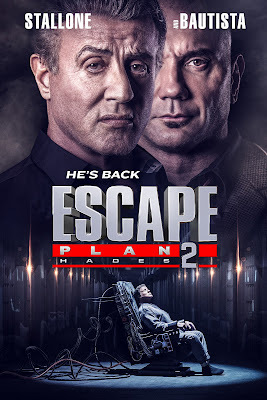 Film-Arcade.net: Get Ready To Escape Again with "Escape Plan 2: Hades"
Get Ready To Escape Again with "Escape Plan 2: Hades"
Lionsgate recently released information for their upcoming DVD and Blu-Ray release of "Escape Plan 2: Hades". Sylvester Stallone returns for this sequel along with Dave Bautista, Jesse Metcalfe and Curtis Jackson. Special features on the DVD and Blu-Ray includes “Making Escape Plan 2: Hades” Featurette, “Creating the Look of Escape Plan 2: Hades” Featurette, “Building the Robot of Escape Plan 2: Hades” Featurette and Extended Cast / Crew Interviews. 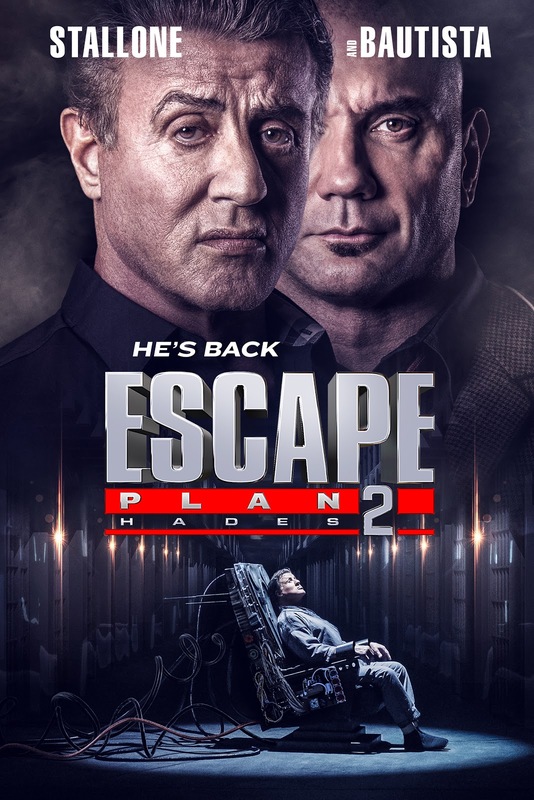 "Escape Plan 2: Hades" hits retail on June 29th. Years after Ray Breslin [Academy Award® nominee Sylvester Stallone (Best Supporting Actor – Motion Picture, Creed, 2016)] fought his way out of the escape-proof prison called “The Tomb,” he’s organized a new top-notch, for-hire security force. But when one of his team members goes missing inside a computerized techno-terror battle-maze known as HADES, Breslin together with Trent DeRosa (Dave Bautista, Guardians of the Galaxy) must now decipher a way to break into the world’s best hidden prison, release their kidnapped team, and make it out alive. Costarring Jesse Metcalfe (TV’s “Desperate Housewives”) and Curtis Jackson (Den of Thieves), ESCAPE PLAN 2: HADES will be available on Blu-Ray™, DVD, Digital and On Demand on June 29th, 2018.